A few days ago, a pushcart vendor in my neighborhood was complaining about a new government measure that will apply to his trade: soon, street vendors selling agricultural products, already proliferating throughout the city, will be forced to get a regulation cart from the State measuring one square meter, two levels to show the merchandise, and a roof. “Raúl’s cart,” as the device has been nicknamed, will cost the vendors 800 pesos, and this tax will be in addition to the recent increases that the “self” employed have endured. Another business that the government will benefit from. The excuse by the authorities this time is that the vendors use any rolling contraption for selling their goods, with the resulting disfigurement of the city, and, in addition, there are too many illegal vendors, so “Raul’s cart” will serve to monitor violations by those who evade applying for a seller’s license, thus avoiding paying the tax. The cart will be, therefore, something that will grant legality to its owner, a kind of certificate of guarantee that, in a way, will support the inspectors’ jobs. Such a supposedly innocent joke in a country where everything is corruptible ignores that there is always the possibility of using the new pushcarts for the benefit of the cunning, so the argument of the supposed “control” is nothing but a subterfuge to quell possible disagreements. On the other hand, it is true that most of the pushcarts are in a deplorable state, but if we are talking about a beautification project for the city, we would have to start with the elimination of the many gushing sewers, the garbage dumps and rubble, and tear down dilapidated buildings, perform complete building maintenance, repair streets and sidewalks, unclog the street drainage systems and eliminate unsanitary and dilapidated facilities, such as “soup kitchens” where food is prepared and distributed to people without resources, as well as the filthy state cafeterias where you can find an array of items for sale, such as rum, cigarettes, condoms and light food of questionable quality and hygiene, and these, only to name a few notorious examples. After sympathizing with the tribulations of the pushcart vendor, who was telling me his displeasure and that of his other vendor colleagues, I asked him what they proposed to do, so I could support his claims in my blog. “What are we supposed to do, reporter! Can’t you see that if we protest, they will take away our licenses? We can’t do a thing. I’m telling you so you can expose it on the internet”. I have the impression that now my vendor is also mad at me. 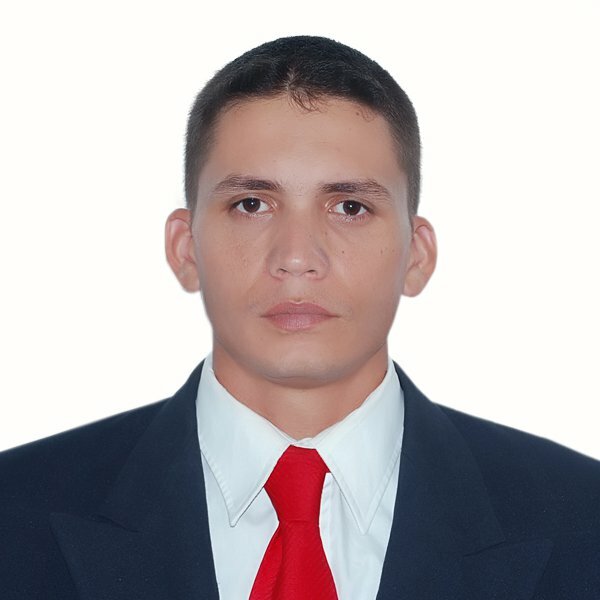 The title of this post is a phrase by Eliecer Ávila, who, while still a student at the University of Computer Sciences (UCI) in 2008, ridiculed the President of the Cuban Parliament, Ricardo Alarcón, perhaps unintentionally. On that occasion, the young man unambiguously publicly questioned the emigration policy imposed on Cubans by their government. The short video circulated in Cuba back then from one computer to another at the speed of gunpowder, marking the initiation of someone who was not aware he had crossed a forbidden line: just by posing the question to a senior official Eliecer had become a dissident. A very short time after that the young man, who had already graduated as a computer engineer, got in touch with the independent blogosphere and with other civil society groups and created his own space for debate. Since then, he has been active in the field of civic and political public opinion in defense of democratic opportunities for all Cubans. Without a doubt, Eliecer has all the qualities of a born leader. In the past few days, Eliecer once again has made news, not only because he is the first Cuban dissident to travel outside Cuba after the recent emigration reform went into effect January 14th , but by the extraordinary revelations he made in a video-taped interview by journalist and blogger Yoani Sánchez, which was recently published on the Internet. 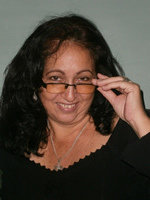 Under the title of “Operation Truth”, which is the focus of the interview, an entire cyber-espionage conspiracy masked and orchestrated by the Cuban government from the UCI (Computer Sciences University) through its reliable and talented students. Eliecer discussed in detail the existence of a permanent operation, of which he himself was an important part, dedicated to fighting the activities of the independent blogosphere, to create an array of opinions over matters of government, to monitor all pages and networks in cyberspace making references about Cuba and the leaders of the revolution, to hack sites officially considered hostile, and even to establish the Ecu-network database, a cyber-monstrosity full of mistakes and blunders known popularly as “the Cuban Wikipedia” a fountain of dubious source of knowledge which — as part of the system’s indoctrination — is taken in by Cuban schoolchildren, particularly those in primary and middle schools. Paradoxically, the contact these young people of the Castros’ cyber-command had with our blogs and with other places of free expression at numerous websites, as well as their intense relation with the internet, opened up their perspective to a different reality, contrary to the ideological objectives conceived by the government in this program, and inevitably exposed them to the contamination of attractive “enemy” ideas. Obviously, the falseness of the Castro regime is most evident as Cubans gain more information, which explains why the authorities prevent the spread of internet use in Cuba. Eliecer is a living example of how government intrigues and experiments can ultimately slice through its own floorboards. “The Internet has its own soul,” is the synthesis Eliecer uses to interpret his natural conversion: from soldier of the official ideology to a citizen who battles against it. Any of us, the free bloggers from here and former captives of the system, know very well the meaning of his words. To some extent, we are all converts who arose from the darkness. The internet has made us freer, has allowed us to meet again, and, without a doubt, will continue to help us in attaining the Cuba we want. But above all, we must thank the presentation of this revealing interview to the public, the colloquial fluency of the interviewer’s questions that keep us interested in the story being told, and the courage of a young man who knows very well the dangerous nature of the demons he is summoning. Let’s not leave him alone in this crusade. The recent ascent of the Cuban President-General to the head of the Community of Latin American and Caribbean States (CELAC) and the silent tolerance or evident indulgence of thirty democratic nations, even before the arrogance that permeated his speeches, highlights the political cross-dressing of “our America”. Some specific details on the speeches of Castro II, like lessons he offered his… counterparts(?) with regard to drug trafficking and consumption, based on the Cuban experience, on the strategic utility of the death penalty and the egregious disrespect he demonstrated against the will of the majority of the Puerto Rican people – who recently endorsed their sovereign decision to remain a commonwealth – when he expressed his regret at the absence of that island nation at the conclave, and his wish that one day it would serve on the CELAC, are just an example of how we need to advance the region’s democratic culture. The General’s blunders were welcomed by undaunted representatives of Latin-American democracies attending the meeting, who even applauded the rudeness of the old former guerrilla, wearing a civilian costume for the occasion. So we attended, among smiles, compliments, and handshakes, the alliance of democratically elected governments in the region – whose countries have multiparty systems, freedom of movement, of expression and of the press, freedom of association and other civil advantages that embellish democracies – with the ancient Antillean satrapy, thus legitimizing his dictatorship. The new Latin-American principle was explicitly made: gloss over what they have termed “our ideological and political differences in order to consolidate “the unity of our sister countries” and maintain “the respect to self-determination” of each peoples. 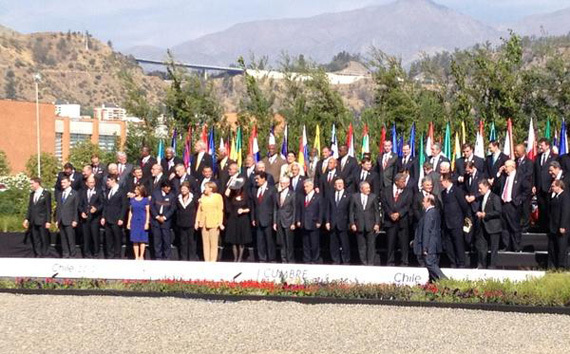 Obviously, the thirty-plus Latin American governments meeting in Santiago de Chile decided that the totalitarianism imposed on Cuba is not only an “ideology”, but has long remained in power thanks to the self-determination of the Cuban people (though we have to admit that they may have a point in the latter). Perhaps Chavez’s oil, the subtle detail that the new capital of Venezuela is located in Havana or that the investments of certain Latin-American enterprises in Cuba might have had something to do with such regional empathy. Another thing that was not clear to me was what commitments the Cuban government might have entered into with the CELAC chairmanship, what advantages Cubans could expect from those commitments and what the projections are for the medium and long terms as far as the progress of the Latin American and Caribbean countries. At least from what they aired in Cuba, the speeches were geared more towards historical references that would justify our supposed common identity, towards the need to overcome poverty, and the command to create a common front in the presence of powerful economies of the developed nations of the First World. Too many clichés in the speeches. As is customary, there were also many “what’s” but few “how’s”. In this vein, while in Cuba’s interior the dictatorship does not give one iota about civil liberties, it flaunts the presidency of the umbrella organization of democratic nations in the region. The General’s aggressive speech, presenting the violence of the Cuban experience as the legitimate letter of the government, seems to enjoy the complicity of those attending the regional event while the loneliness and helplessness of the Cuban people escalates. The dictatorship’s summit has ended, and, as for me, if those governments exemplify our siblings, then I’d rather be an only child. A sign near the tunnel entrance reads: “Welcome to Havana, capital of all Cubans”. It’s a lie. For years, many Cubans have been literally captured and deported from the capital to the cities and towns where they came from originally, as if they were an unwelcome plague. “Havana can’t take it anymore…” was the catchphrase of a song made famous long-ago in the 80’s by Los Van Van, whose lyrics, often vulgar, have been a kind of chronicle of what is officially approved to be divulged. Los Van Van are not just tolerated by the authorities, but belong to an elite club of “artistic” government spokesmen. In fact, the old song was complicit in backing the segregationist government policy of expelling people from the provinces from the capital. So it goes, in good measure. 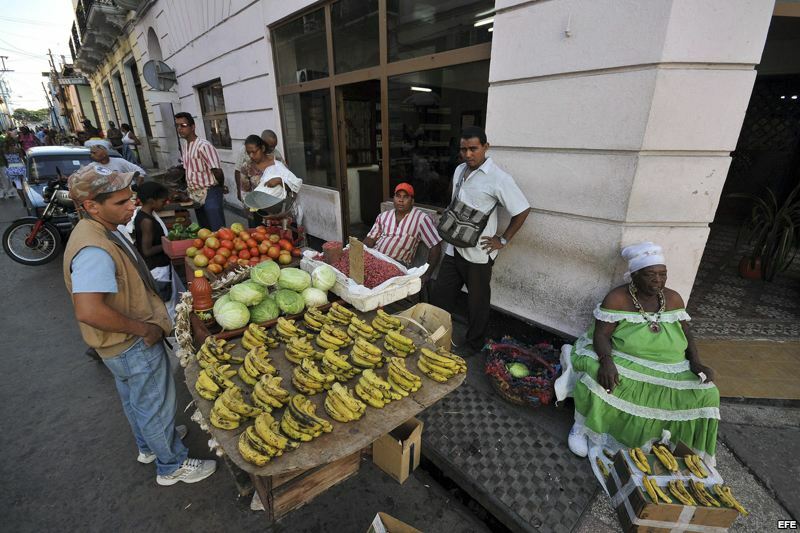 Cubans “from the interior” are not really welcome in Havana, thanks to official apartheid, which even has a law on the matter: the controversial Decree 217, which regulates the provincials’ residence “permit” in this city. Of these, the ones whose stay has been approved for work or for “duly justified” reasons, must carry a “transitory” identity document that allows them to move through the streets without the risk of being nabbed by the police (which, paradoxically, is composed almost entirely of individuals who come from “the interior”), and sent by force back to his hometown. By the way, China established a regulation in the 50’s to stop the exodus to the cities, under which a rural worker (mingong), on moving to the city, was forced to apply for an urban residence permit (hukou). This demonstrates that the Cuban system is really nothing new. However, brooding over what is happening these days in Cuba, one gets the impression of watching an absurd movie with numerous subplots. While they have started to implement some changes –however limited, ambiguous and insufficient– to migration movement of Cubans to and from overseas, it seems contradictory that tight control is being kept over internal migration to the capital, and nobody seems to care. 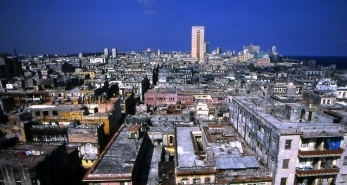 The excuse of the city’s housing stock shortage and the overuse of services caused by the constant exodus from within, does not properly justify discrimination against Cubans on the basis of their birth region, since, when it comes to the interests of government programs, whether those to fill employment needs in repression, contingent on construction or emerging teachers sectors (“instant teachers”, as they are known), etc., regional origin doesn’t seem to be an obstacle. In fact, there have been many born in the provinces who have benefited from such programs solely for the purpose of establishing residence in the capital. The segregation policy has not been accompanied by development plans in the provinces that are attractive enough to retain the workforce there. What’s more, Havana is not, in fact, the capital of all Cubans, but in recent times, it’s becoming the capital of Venezuela, since this is where the governing body of that neighboring country holds its meetings and where –according to certain suspicious analysts and according to what evidence suggests– decisions of the Venezuelan government are being made under the political monitoring of the Cuban government. It would seem that the Caracas-Havana airfare is less onerous than the Santiago-Havana train ride, assuming how frequently members of the Venezuelan executive branch travel. So, while Hugo Chávez himself had to seek permission from the National Assembly in his country to come to Cuba to treat his very serious health problem, and while Cubans in the provinces must request permission from the Office of the Register of Directors (MININT) to stay in the capital, the Venezuelan Vice President, as well as the President of Parliament and other government officials of that nation seem to come and go freely to Havana several times a week.